First impressions are important. From an introductory handshake to inviting someone over for the first time, you want to put your best foot (or in this case, décor) forward. When it comes to having people over to your home, your front porch is the first thing guests will see, and they’ll get a close-up look when they knock on the door and wait to be invited in. Those seconds might not seem like much, but they provide a valuable opportunity for a warm welcome, a welcome that doesn’t require any spoken words. A little festive flair around the front door can boost holiday spirit. 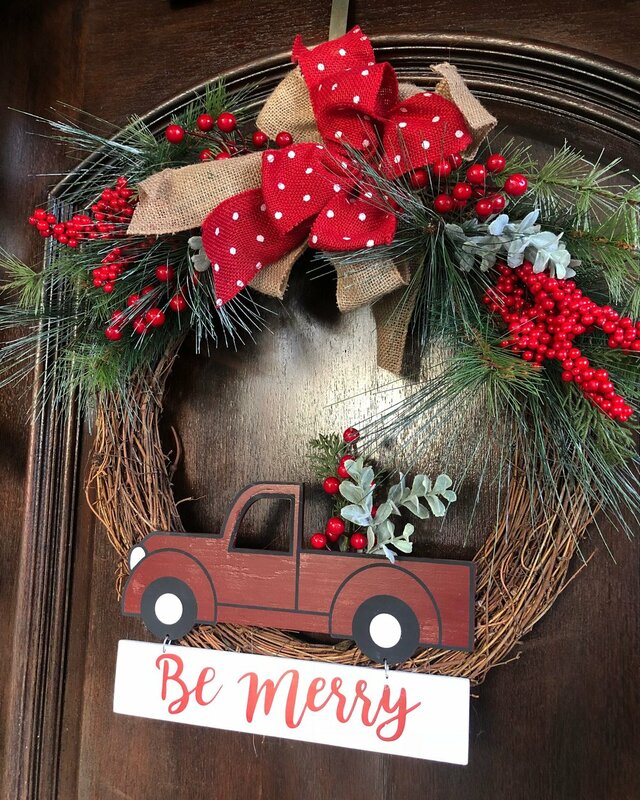 A sentimental sign, a wreath or even a doormat can make friends and family members feel a little more merry and bright before they even step foot inside. Seriously, it’s possible to stir up all these feelings before a hello and a hug. Want us to let you in on a little secret? A festive front porch is even simpler than it seems! If you’re looking for a little inspiration, here are some wise words from Stacey of Wilshire Collections. She has a few tips and must-haves for the perfect Christmas porch. 3 things every Christmas front porch needs this year! Decorating the front of your home is so important since it is the first thing people see before they enter! I love decorating mine for all the seasons and really setting the tone for what’s inside! My Christmas front porch is no exception! This year I shopped at Kirkland’s to find the perfect pieces I needed to complete my look! They have so much cute stuff to choose from, that you are sure to find something that fits your decor style! I’ll show you how easy it is to transform your space into the perfect Christmas front porch using my 3 new Kirkland’s items. The first thing every front porch should have is a pretty wreath! They had so many cute ones to choose from, but this one with the little red truck won my heart! You also can’t go without a welcoming doormat! I always love to layer mine, so adding this Merry and Bright rug from Kirkland’s was the perfect fit. Another thing that I think adds such fun and character to a front porch is a porch board sign! I knew this one that said Joy would help me complete this look. I love the little snowflake on the bottom that ties in with the ones on the doormat! There you have it! My Christmas front porch is ready to go and it makes me so excited for this upcoming holiday season! It doesn’t have to be complicated to be cute and make a statement! Just adding these 3 new items made all the difference for me. I can’t wait to see what goodies you find from Kirkland’s this Christmas! You can shop their holiday collection here! Looking for other tips, tricks and advice this holiday season? Keep an eye on Half Full, and be sure to check out Wilshire Collections!